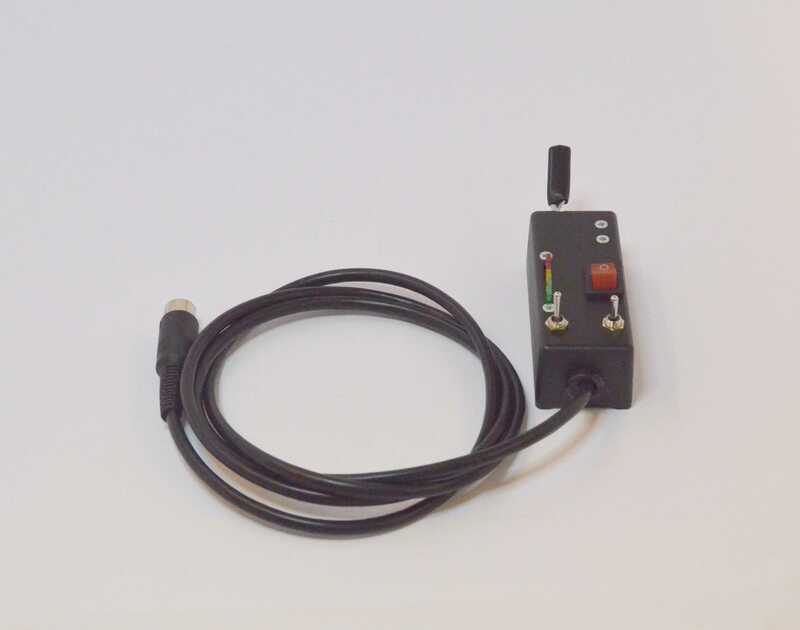 The reversing bell throttle hand control box is popular with the model locomotive community. It is an ergonomic hand control with an integral battery condition indicator and horn and lighting switches which can be used in conjunction with our Horn Relay Board. The special feature of this hand control is that the spring returned throttle assembly gives you a ‘dead-man’ control. The design is easy to use single handed (with either hand) and is not tiring to use, even in sustained operation. It’s a small box with a lightly sprung lever and can be held in different ways and operated with finger or thumb. Bell Throttle: finger-tip operated spring return-to-zero throttle assembly, to give dead-man’s control of loco. Box size 92 x 38 x 31 mm packed with features. Ergonomic layout – easy to hold and use without strain in sustained operation. Rocker switch to control forward or reverse. Toggle switch for lighting (or other use). 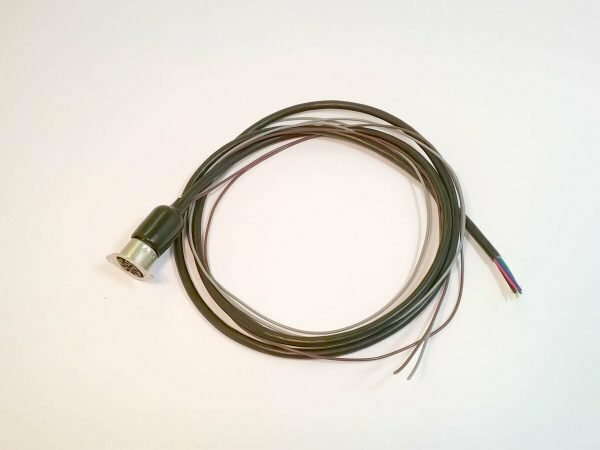 1.5 meter 8 core cable with 8 pin DIN plug. 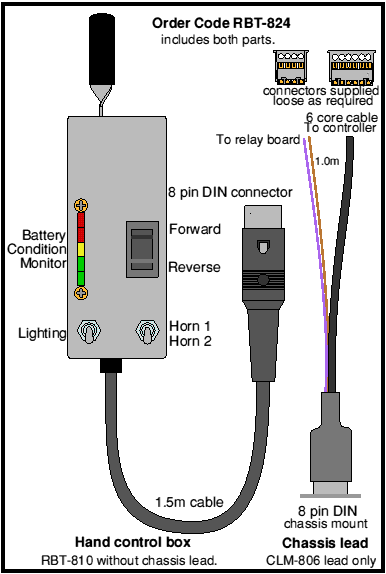 DIN plug is non-latching so that in emergency a pull on the cable will (if the socket is suitably located) unplug the hand control and act as a dead-man’s handle. There is no need for a separate ignition switch: simply unplug the complete hand control. 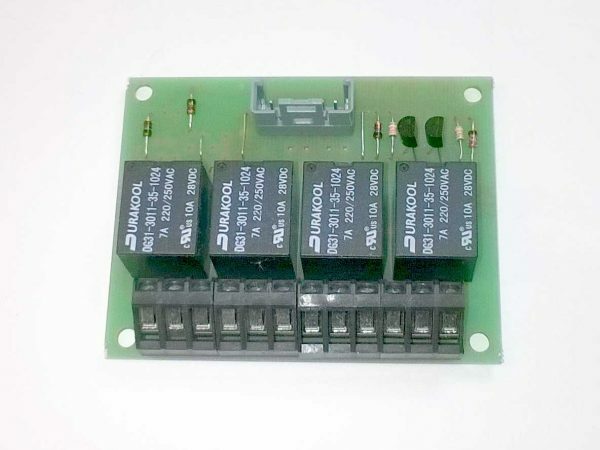 The Throttle box and horn relay board are designed to minimise the wiring of a typical miniature locomotive and a separate page shows the typical wiring.